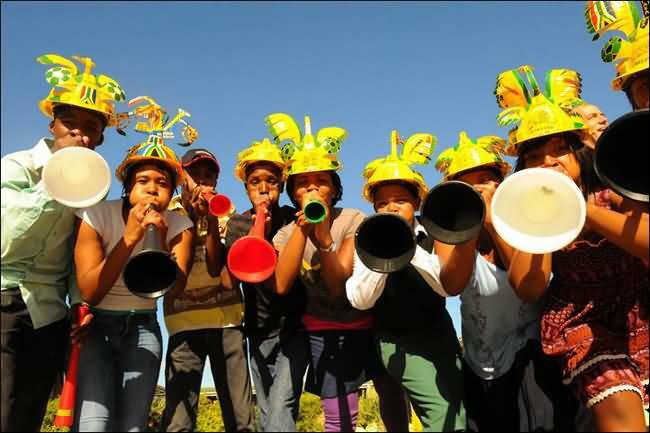 What's plastic, a metre long and sounds like an elephant? 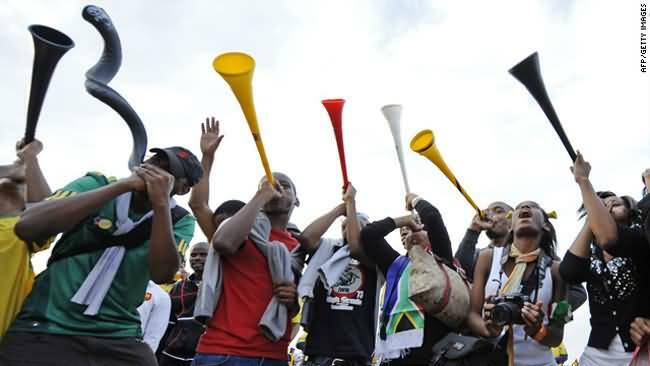 It's the vuvuzela, the noise-making trumpet of South African football fans, and it's come to symbolize the sport in the country. 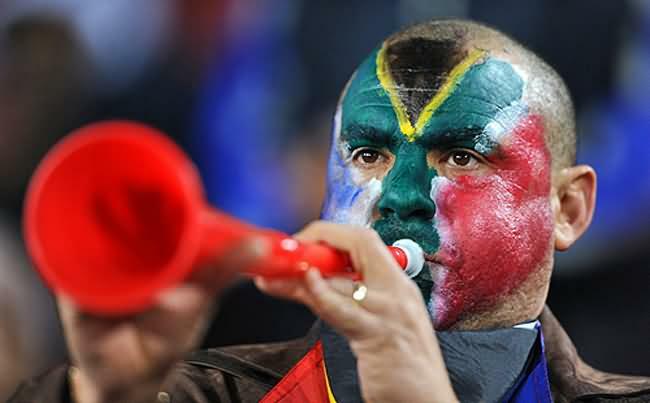 "Without the vuvuzela, I don't think I would be able to enjoy football," said Sadaam Maake, one of South African football's celebrity followers. "It brings a special feeling to the stadiums. 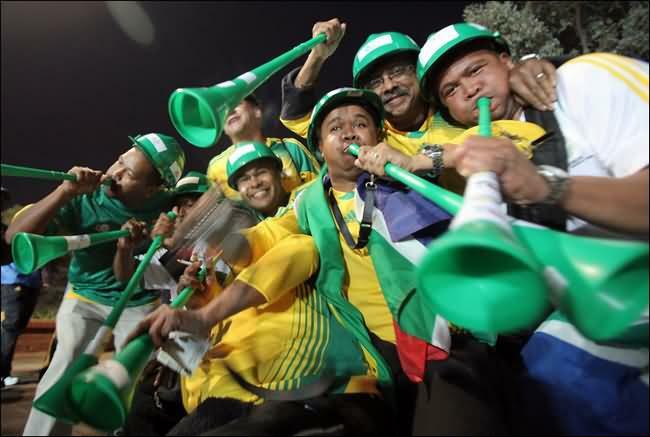 It is something that makes the fans want to get behind their team." 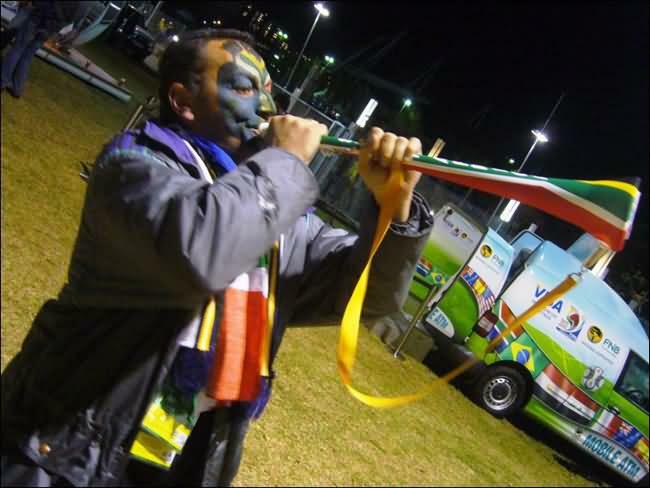 The vuvuzela was originally made from a kudu horn. 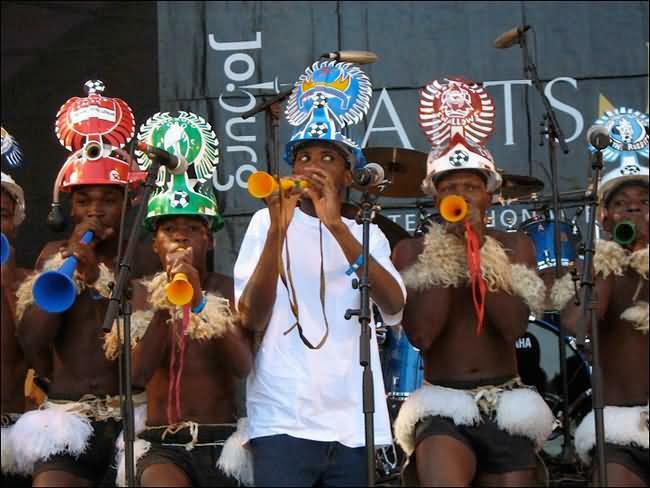 Folklore has it that, in the ancient days, it was used to summon people to gatherings. 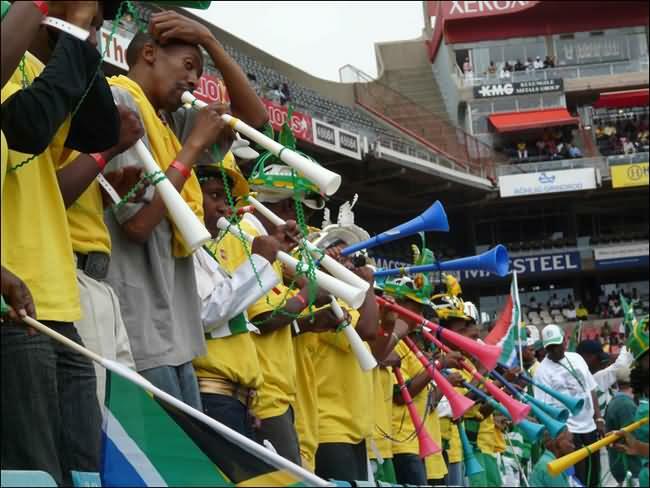 Over the last 15 years, the sight and sound of the instrument being blown at games has evolved into an emblem of hope and unity for many South Africans.